Google announced their new Chrome Web Store today, with loads of web sites and games that can be installed as applications in your browser, synced across every PC, and customized to launch the way you want them to. Here’s how it all works. Note: this guide really isn’t aimed at expert geeks, though you’re more than welcome to leave your thoughts in the comments. 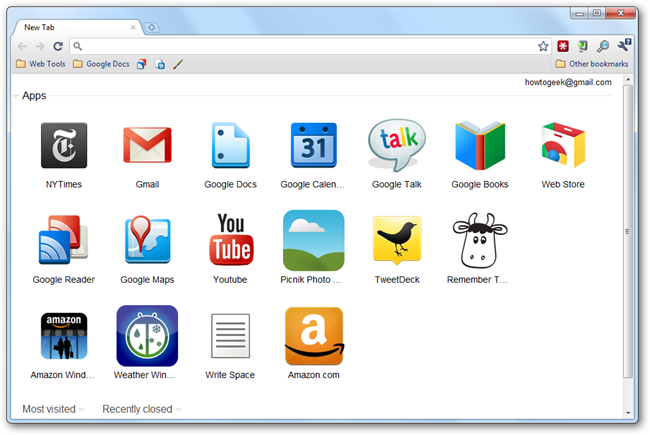 What Are Chrome Web Apps Again? The new Chrome Web Apps are really nothing more than regular web sites, optimized for Chrome and then wrapped up with a pretty icon and installed in your browser. Some of these sites, especially web-based games, can also be purchased through the Chrome Web Store for a small fee, though the majority of services are free. 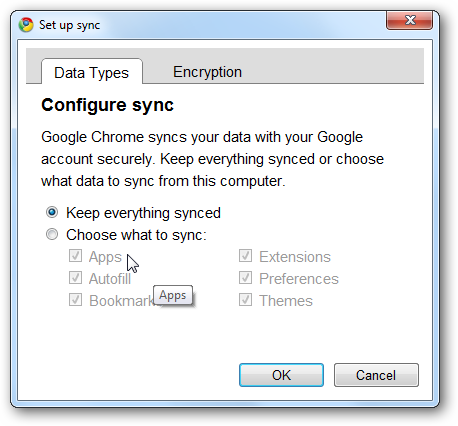 Once you’ve installed or purchased one of the web applications, Chrome will keep the applications synced across every computer using the Chrome browser, so it’s like having your entire OS stored on the web. It’s an interesting concept, so keep reading to find out more about how it works. 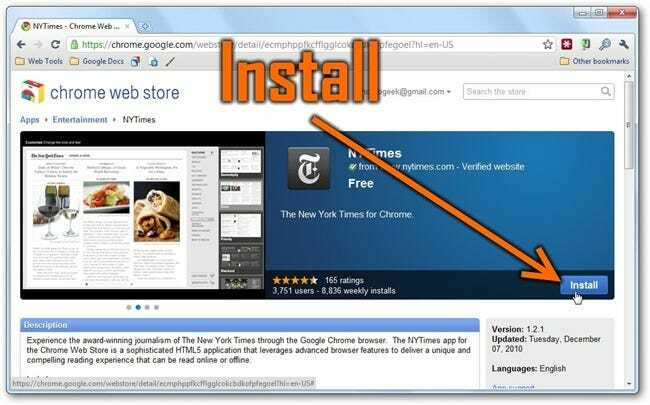 Once you’ve headed over to the Chrome Web Store and found an application you want to install, like this NY Times application, you can simply click the Install button—if this was a non-free game, you’d be prompted to purchase using a couple of clicks through the Google Checkout process. Just a few seconds later, you’ll be staring at a shiny new icon on your New Tab page, which is where all of these applications live. 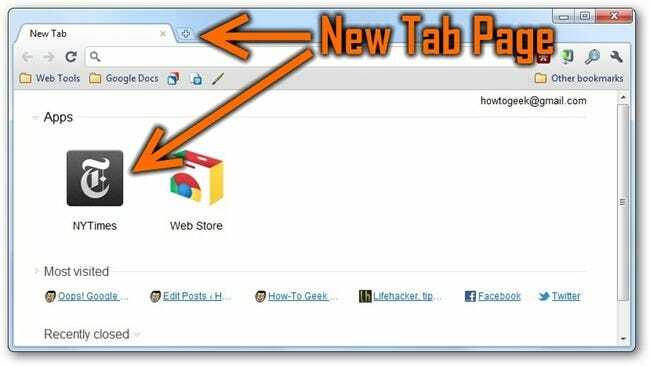 You can get back to your application list at any point by opening a new tab, and making sure that the Apps section is expanded. Once you launch one of the Apps, you’ll immediately notice a difference—this New York Times reader is optimized and obviously designed to work well in Chrome, with loads of customization ability, and a rich experience for navigating the news. 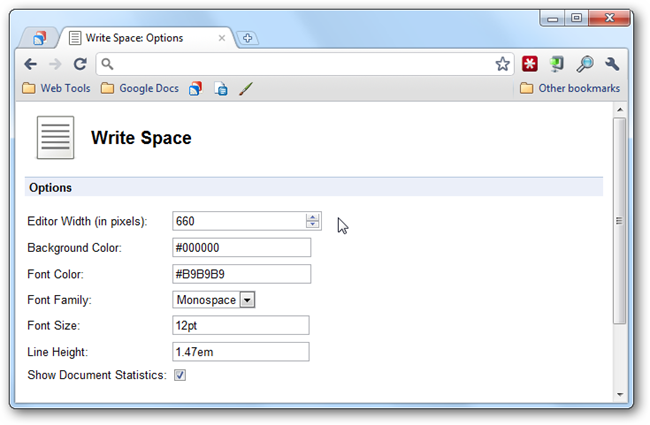 Not all web applications are this level of quality quite yet, but here’s hoping. If you’re paying attention, you’ll notice that the Chrome version of NY Times is nothing more than a URL—which means you could easily browse to www.nytimes.com/chrome/ in any browser that supports HTML5 and get a similar experience. This is the case for most of the apps in the Chrome Web Store, since they are just based on regular web technology like HTML5 and Flash. 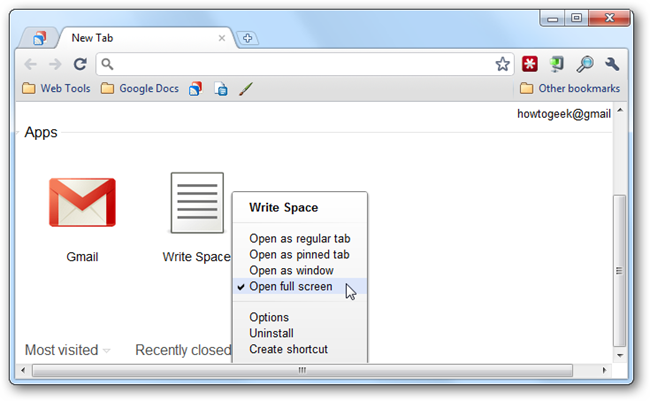 You can take your apps to the next level by customizing how they open—there’s pinned tabs, separate windows, and even a full-screen mode. Let’s take a look at the first one, Pinned Tabs. 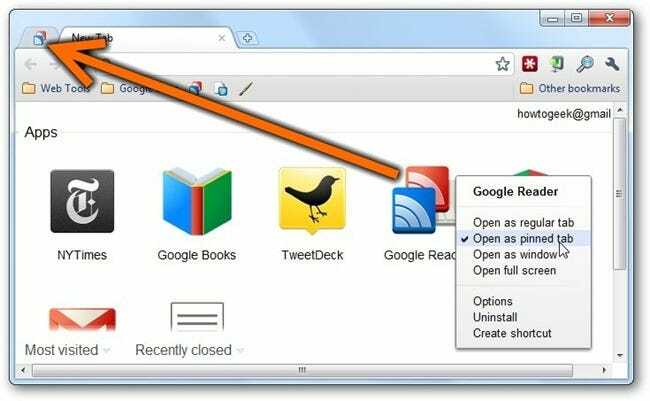 Just go to any of the apps that you’ve installed, right-click it, and choose “Open as pinned tab” from the menu. Once you click to launch the app, it will launch in a pinned tab that re-opens with the browser once you’ve closed it. …and once you click on the icon, you’ll be immediately launched into a full screen view. 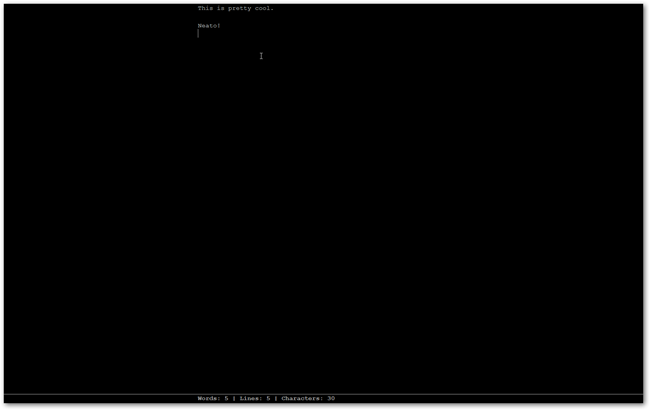 It’s somewhat hard to see the text here, but it’s a distraction-free text editor that stores your data offline. Note: Use the F11 key to get yourself out of full screen mode on Windows, or Cmd+Shift+F on OS X. 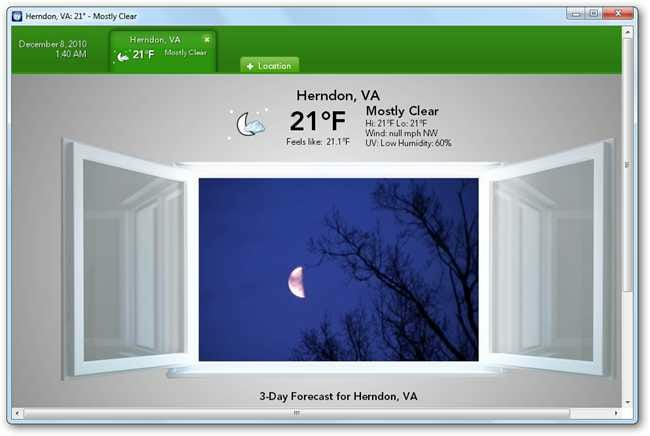 If you right-click on many applications, you can choose Options to customize how that application works—some applications have Chrome-style options pages, others just take you to the regular settings page for the web site. When you use that application from now on, it will open in a dedicated window without any location bar or anything else cluttering up the screen. It’s cold outside! The only really frustrating problem… you can’t drag and rearrange the applications. 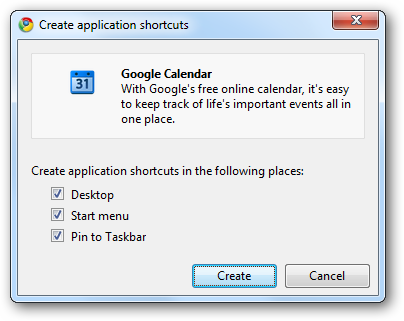 If you want to put a shortcut on the desktop for the application, you can just right-click and choose “Create shortcut”. This will bring up the regular Create Application Shortcuts window that you might be familiar with, but it will be tuned to that application. The nice thing about doing it this way is that the quality of the icons on your desktop will usually be better. Make sure that “Apps” is selected to be synced on this screen. You’ll want to also make sure that any other PCs have the same setting—this setting dialog doesn’t sync across PCs. That’s all there is to it. Next time we’ll explain how to make your own custom web apps.